The Foundation Needs Your Support to "Create a Legacy"
In the past ten years, more than $200,000 has been awarded to over 200 students and professionals - VRPS members, nonmembers, and their staff - to attend workshops, conferences and in-service trainings. The source of income for the Foundation includes individual memberships, as well as generous donations from the VRPS Service Areas and Resource Groups. The Foundation Board of Directors has noted that of the more than 200 scholarship recipients, only forty (or 20%) have invested in becoming members of the Foundation. We can and must do better than this in supporting an organization whose mission is to create educational opportunities for students and professionals in the leisure services industry. We ask you to consider a personal investment in an annual membership. You can choose from any level and join others in supporting the efforts of the Foundation to continue improving our programs in Commonwealth. As we develop a culture of generosity, our desire is to create a legacy that will support the Foundation for future generations of students and professionals, who in turn will keep VRPS in the forefront of the park and recreation movement. Since 1956, the Virginia Recreation and Park Society has acted as the unified voice of Parks and Recreation issues throughout the Commonwealth. Through diversified individual memberships the Society has provided and encouraged continuous developmental training opportunities for its members in order to improve recreation, parks and leisure services to the public. A special committee studied the need to establish an independent charitable foundation to adequately address the exclusive responsibilities of educating the public to the importance of parks, recreation and leisure pursuits in the lives of all persons in the Commonwealth. 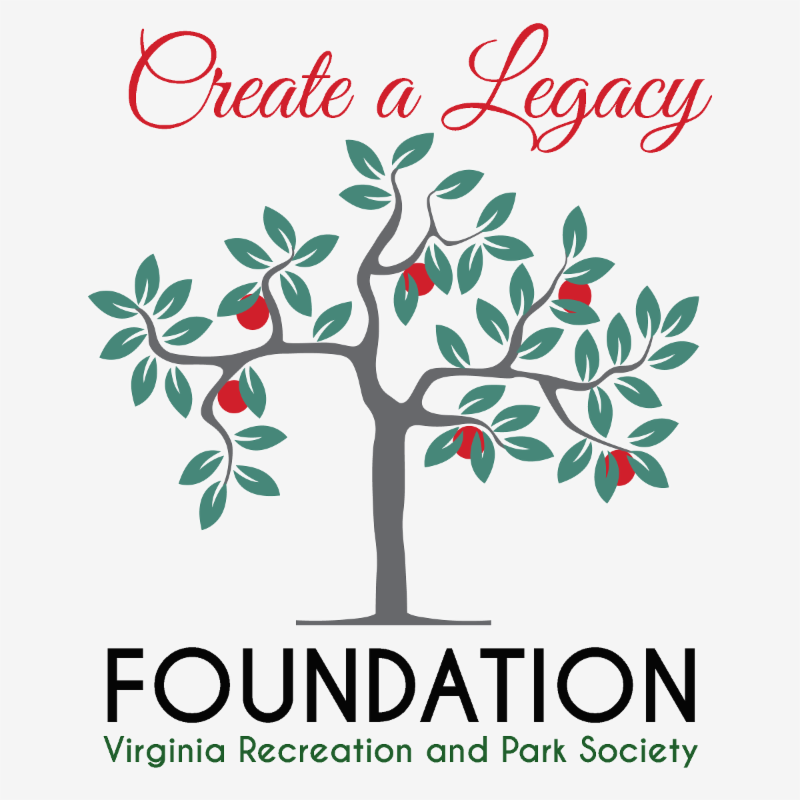 In 1985, the IRS approved the 501(c)3 Foundation of the Virginia Recreation and Park Society as a public, non-profit organization. The Foundation is also registered with the State Corporation Commission. This public non-profit Foundation was created in June 1984 to further enhance the image of parks and recreation in leisure services. Informs the public on critical concerns affecting parks and recreation. Educates the public as to the benefits of healthy leisure pursuits. Educates the public as to the importance of proper use and preservation of our natural resources. Supports students in an accredited park and recreation curriculum through a continuing scholarship program. Provides professional scholarships to practitioners in the field of parks and recreation through appropriate scholarships and grants. The Foundation of the Virginia Recreation and Park Society, a 501(c)3 organization, operates exclusively for the benefit of, and to carry out the purposes for, the leisure movement in Virginia, by: promoting and improving leisure opportunities and amenities in Virginia; furthering the course of research and development in all areas of leisure in Virginia; providing scholarships on a non-discriminatory basis to worthy students and professionals in the parks, recreation and leisure services profession or related field; and promoting leisure awareness among the general public of Virginia.